With the highly successful rollout of SonoSim® 365 for GE Healthcare in the GE Point-of-Care Ultrasound division, GE will soon be expanding its distribution of the SonoSim product to the GE Women’s Health and Urology Ultrasound division. Continued collaboration with GE will contribute to the expansion of ultrasound education in medicine and specifically to the diagnosis and treatment of issues commonly afflicting women. 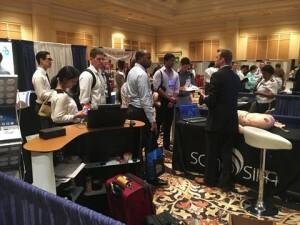 SonoSim was proud to contribute to SonoGames & SimWars in early April. At the event, residents and medical students came together to learn and compete in ultrasound games and challenges. 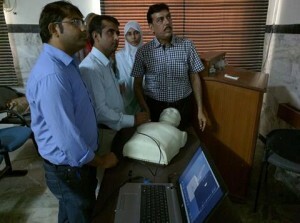 SonoSim‬ loves the international community, and it is very rewarding to see medical providers in Pakistan using SonoSim for ultrasound training. Thank you to our Laerdal Medical distributors in Pakistan for helping SonoSim expand its global impact! Dr. Katz, Vice President of Business Development at SonoSim, gave an informative product overview of the Laerdal-SonoSim Ultrasound Solution at IMSH 2016. Learn how Laerdal Medical and SonoSim can help you integrate ultrasound into your scenario-based medical simulations. 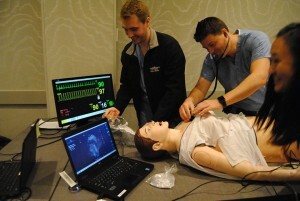 Flight for Life relies on SonoSim to help train its providers in an asynchronous, “flipped classroom” environment. Watch Chief Administrative Officer Scott Kunkel describe how SonoSim has impacted Flight for Life’s ultrasound training efforts.